Return to Home > Aminozuren>Levrone - LevroAminoTab - 300 tab. Levrone - LevroAminoTab - 300 tab. 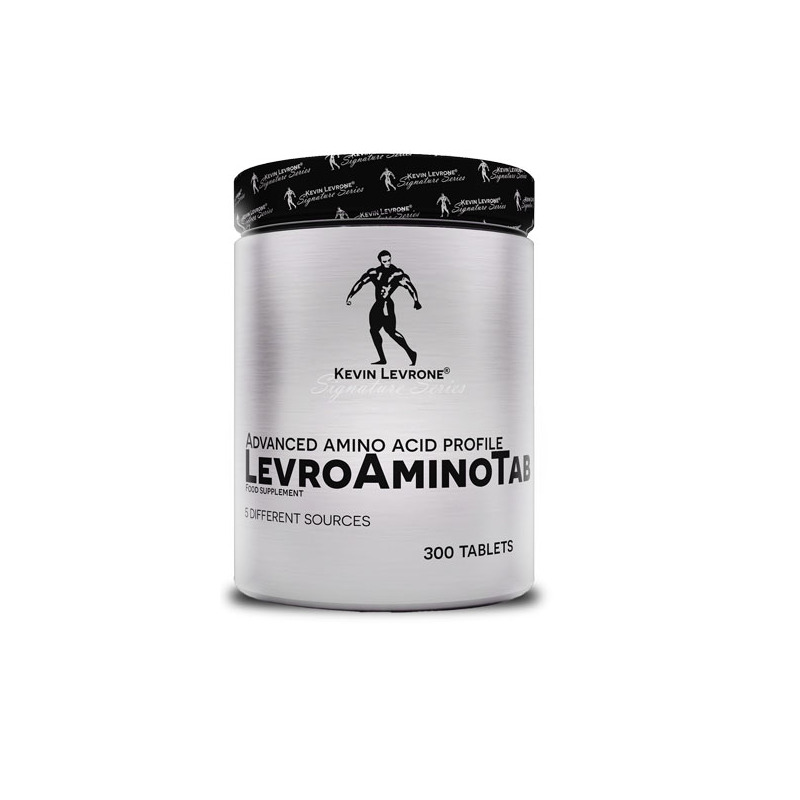 LevroAminoTab is an advanced amino acid mixture that has been developed to provide the maximum amount of concentrated amino acids in the best possible proportions. LevroAminoTab is the highest-quality amino acid preparation, and thanks to it perfect profile is one of the most bioavailable amino acid mixtures available on the market. LevroAminoTab supplements your diet with branched-chain amino acids, essential exogenous amino acids, and selected endogenous amino acids chosen to meet the requirements for those doing the toughest workouts! The branched-chain amino acids (BCAA) contained in LevroAminoTab facilitate quick recovery of your hard-working muscles, so you can train more often, harder and longer than ever before. 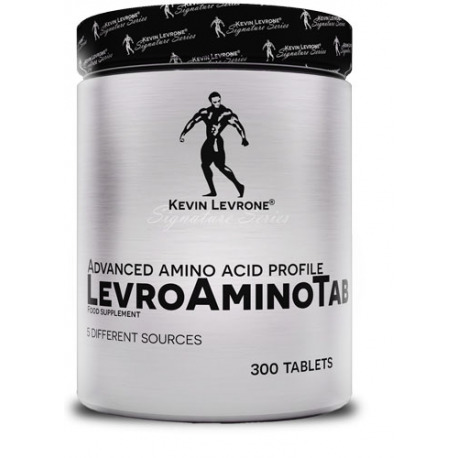 LevroAminoTab is an ideal dietary supplement with the amino acids necessary for building lean muscle tissue, and producing systemic proteins and many other substances with a physiological effect, such as dopamine and thyroxine.LevroAminoTab delivers amino acids in their ideal proportions almost at the moment they swell, thanks to rapid absorption from the gastrointestinal tract, so you can enjoy a positive nitrogen balance quickly after ingestion. LevroAminoTab is recommended to anyone who cares about advanced supplementation and the most important aspects of their diet. LevroAminoTab has been designed by the Kevin Levrone – the legend can’t be wrong! Musacchio JM (2013). „Chapter 1: Enzymes involved in the biosynthesis and degradation of catecholamines”. In Iverson L. Biochemistry of Biogenic Amines. Springer. pp. 1–35. Ingredients: Protein premix [Hydrolyzed beef peptide, whey protein concentrate, hydrolysed whey protein concentrate Optipep®, hydrolysed casein PeptoPro® (form milk), whey protein isolate Isolac®], bulking agents (E341, E1414), anti-caking agents (E470 b, E551). Warnings: Do not use if you are allergic to any of the product compounds. Do not exceed the recommended daily dose. Food supplements should not be used as a substitute for a varied diet. A varied and balanced diet and a healthy lifestyle are recommended. Do not use if pregnant or nursing. Keep out of reach of young children. Store in dry and cool place. Protect from direct sunlight.